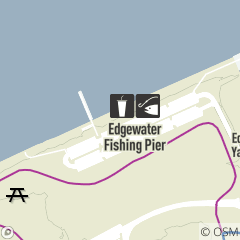 Located by the fishing pier at Edgewater Park, the stand serves concessions fare including snacks, beverages and a limited variety of Honey Hut ice cream. Tackle and bait available for purchase as well. Open daily from 11 a.m. – 8 p.m.